Are you applying for jobs working as an editor or a writer? Take the time to customize your own letter, being sure to match your qualifications to the requirements listed in the job posting. While organization and strong writing abilities are required for nearly every editorial or writing position, jobs can vary widely in terms of other desired skills. Some editorial positions require strong project management abilities; others call for creativity and the ability to brainstorm ideas easily and speedily. Review an example of a cover letter written for an editorial position for inspiration. This sample letter highlights the applicant's editorial, creative, and technical skills. Also see below for an example of a resume written for an editorial or writing position and tips for writing interview-winning resumes and cover letters. This is an example of a cover letter for an editor job. Download the editorial position cover letter template (compatible with Google Docs and Word Online) or see below for more examples. I'm writing to express my interest in the Editorial Manager position at Phoenix Company advertised on Craigslist. My unique combination of technical expertise, creative abilities, and experience managing both writers and projects, makes me an ideal person to help your editorial team thrive. I have developed and implemented editorial standards for both style and quality that are used by writing and editorial teams. In addition, I have worked closely with other departments including marketing, sales, and technology. Experience has taught me how to build strong relationships with all departments at an organization. I have the ability to work within a team as well as cross-team. If I can provide you with any further information on my background and qualifications, please let me know. I can be reached anytime via email dana.applicant@email.com or cell phone, 555-555-5555. Thank you for your time and consideration. I look forward to speaking with you about this employment opportunity. Dedicated and experienced writer/editor with five years of experience in journalism and public relations seeks a position as a writer, editor, or page designer with a midmarket daily newspaper. Experience paginating features, news, business and local sections, including special sections, at a local, but robust, daily. Can create snappy headlines, subheads and photo captions that help tell the story and draw the reader in. 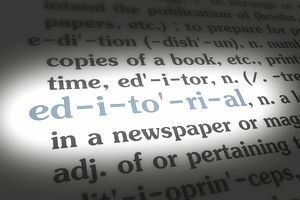 Have worked in all departments of this 50,000-circulation daily, editing stories for factual accuracy and grammatical correctness, paginating pages, as well as writing headlines, subheads, and photo captions. Involved in all aspects of the paper’s news, features, and business editorial production from assigning stories to reporters to signing off on completed pages going to print. Wrote feature stories on local personalities, events, sports, and the arts, as well as local and national artists for stories and profiles. Wrote fashion stories, booked photo shoots and served as art director, and edited and compiled calendar listings. Covered the Sarasota social scene at various charitable events. Wrote commercials, business plans, surveys, and press releases as an independent contractor. Emphasize writing and editing skills, such as copy editing, grammar, establishing tone, social media, and business storytelling. The specific skills will depend on the job listing – stress the keywords that are mentioned in the ad. If possible, match your style and tone to the company’s products. For example, if you’re applying to edit a lifestyle blog, you’ll want a snappier, more accessible voice in your cover letter than if you’re hoping to be hired for as copy editor at financial services firm. As much as you can, mimic what appears to be their house style: if they’re anti-Oxford comma, you are too (at least for the purposes of this job application). Proofread, proofread, proofread. The worst thing you can do, when applying for an editor job, is making a typo. Don’t trust yourself to catch every tiny error – even the best editors find it hard to see their own mistakes, once they make them. Instead, enlist a trusted friend to review your application materials before you submit them.